Many years ago, a man called me asking if I would represent him in a discrimination action against a company. Now, you know me. I’m a management-side lawyer. I write a blog called The Employer Handbook. But, then he mentioned that someone had hung a hangman’s noose at his job site. He had pictures. And he had my full attention. I took that case, one of the most memorable in my legal career. Part of what made the case so memorable were the depositions. One of them was the HR Director. She graduated from Cornell University, the Ivy League school in Ithaca, NY. Because I asked her if she understood the significance of a hangman’s noose in the workplace, she didn’t. As if I had asked the question on Portuguese. Another deponent, one of the supervisors, tried to convince me that the hangman’s noose wasn’t racist, but rather something used by cowboys. Another co-worker suggested the noose was used to pull what sounded like metal plates you’d see a fitness center. The only person who understood the noose’s significance as a symbol of racism was the general manager. He was from Scotland. And I was in bizarro world. Three teachers at a middle school on Long Island, New York, have been placed on paid administrative leave after an image of a pair of nooses labeled “back to school necklaces” were displayed in a classroom, officials said. The teachers have been “reassigned to home” with pay pending an investigation, according to Alfred T. Taylor, school board president of the Roosevelt Union Free School District. All three teachers are white, he said. It’s not funny at all. It’s disgusting. Personally, if facts play out as reported, I’d be shocked if these teachers kept their jobs — regardless of whether they have any rights under a collective bargaining agreement. I can’t begin to understand what it’s like to be targeted with a hangman’s noose. But, I’ve seen firsthand the toll that it can take on a person. If true, these teachers should be fired. 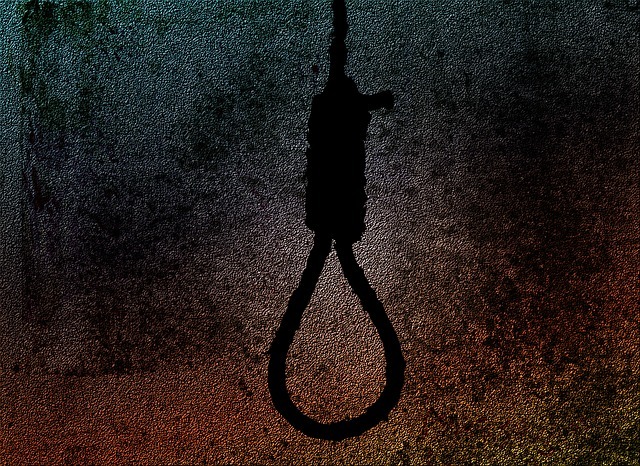 Hopefully, you would agree that there is zero tolerance in the workplace for a hangman’s noose.